BC Remote DBA Oracle support is the oldest Remote DBA Oracle support provider, serving clients throughout the world. Our Remote DBA staff consists of Oracle-certified experts and authors, professional Remote DBAs with a commitment to excellence in service. BC Remote DBA specializes in Remote DBA service for mission critical Oracle databases that require high levels of performance, reliability and security. BC Remote DBA service uses proprietary remote DBA Oracle monitoring and Oracle support techniques that are not available anywhere else to perform proactive tuning for your Oracle database. BC Remote DBA Service carefully protects your data privacy and uses only trustworthy Oracle experts. Read our Remote DBA security policy. 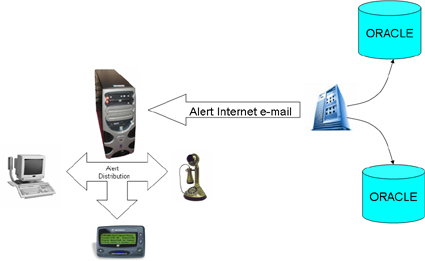 We can also provide Oracle remote consulting by experts with an active US security clearance. Our copyrighted Remote DBA Oracle support detection techniques have made us successful in providing remote Oracle support for some of the world's most sophisticated Oracle databases. BC Remote DBA Oracle support services are an attractive outsourcing option for many reasons, and you are protected with by USA privacy laws and our Oracle certified remote support staff. 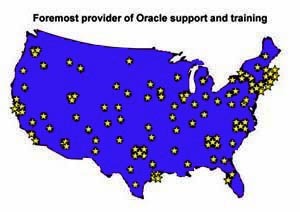 These are just a few of the many reasons why BC Remote Oracle Remote DBA support is #1 for Remote Oracle Support in the USA . Here are some tips on how to choose Oracle Remote DBA packages. BC Remote DBA Service has encapsulated decades of Oracle monitoring experience into a single package, the Remote Preemptive Monitor for Oracle™, a proactive package that detects impending problems before they cripple your database. You lease RPM for Oracle by the month for extra insurance against database failures and guaranteed access to Oracle experts for problem resolution. BC Oracle Remote DBA support provides remote Oracle support and Oracle Remote DBA consulting that is customized according to your database needs. Many companies are improving the quality of their Oracle support while saving tens of thousands of dollars yearly by replacing an expensive full-time DBA staff with Remote DBA support services. The BC Remote DBA Oracle support staff has the highest standard in the Remote Oracle support industry, and all remote Oracle Remote DBA consultants are Oracle Certified with extensive real-world experience. Why choose BC Remote DBA for remote Oracle support? BC is the oldest and most respected Oracle remote DBA support firm with a proven track record. We employ some of the world's top remote Oracle experts who have published dozens of Oracle books on remote Oracle and Remote DBA support technology. BC Remote DBA support only uses Oracle certified Remote DBA consultants in our response team who constantly monitor your databases, fixing problems before they impact your Oracle performance. Your staff develops a personal relationship with your BC Remote DBA, and once you are assigned a primary and secondary Remote DBA, you will be able to contact them at any time, day or night. BC Oracle Remote DBA is managed by some of the world's leading Oracle consultants and authors, noted experts in remote Oracle Remote DBA and database monitoring technologies. BC ensures that all Oracle support clients receive the best possible Oracle development, Oracle training & remote database support. Because of our extensive experience with automating Oracle support database administration tasks, we are able to offer professional remote Oracle Remote DBA support at affordable prices. BC also offers Remote DBA services for MYSQL and SQL Server. BC Remote DBA Service also offers Oracle Performance tuning, Oracle 10g tuning tips, regional Oracle consultants. We also provide support for third-party applications, providing complete Oracle disaster recovery support and Oracle Tips. Copyright © 1996 - 2018 by Burleson. All rights reserved.